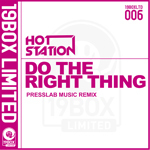 “Do The Right Thing” is a track from HOT STATION to be issued under Japanese title “Itsudatte Right Thing” through 19BOX SPECIAL. The remix comes courtesy of Italian production duo, PRESSLABOYS, who team up with GIANLUCA PERUZZI. 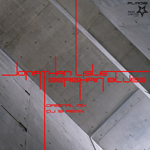 Out on 23rd May 2011 on 19BOX LIMITED. Jonathan Lisle is taken on techno with full abandon and proved this through his previous EPs “Hostile Panacea EP” and “Healthy Living EP” on PARK LIMITED MUZIK. Now Jonathan Lisle opens 2011 with a new tune called “Berghain Blues” – which is a homage to Berlin, Germany’s famous club Berghain. “Berghain Blues” has all of the filth and dirty grooves you could ask for, with an 80’s acid house element straight out of the south-side of Chicago. The remix comes courtesy of label head honcho DJ 19 doing his usual techy house thing. By now Jonathan Lisle’s ‘new’ sound isn’t all that new. It’s clear that he’s taken on techno with full abandon and proved this through his previous EPs “Hostile Panacea EP” and “Healthy Living EP” on PARK LIMITED MUZIK. Now Jonathan Lisle opens 2011 with a new tune called “Berghain Blues” – which is a homage to Berlin, Germany’s famous club Berghain. Jonathan Lisle’s reputation grew as one of the resident's of John Digweed's legendary Bedrock parties. While he developed his name as a progressive breaks DJ, he has since moved away from the progressive sound and delved into a more glitchy techno style. “Berghain Blues” has all of the filth and dirty grooves you could ask for, with an 80’s acid house element straight out of the south-side of Chicago. The remix comes courtesy of label head honcho DJ 19 doing his usual techy house thing.